Our review staff recently had the privilege of reviewing all the desk cycles and bike desks on the market. 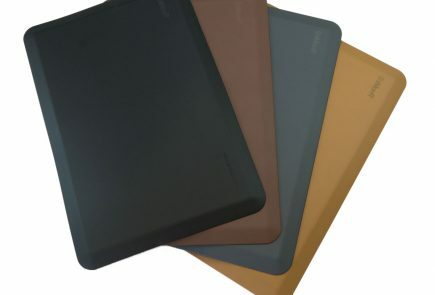 The clear winner out of the comparison review was the new Cubii smart under desk elliptical from Fitness Cubed, which is the only device out of nearly a dozen tested that we would unequivocally categorize as an office fitness product (the rest mostly fall in the category of infomercial exercise equipment for the couch potato). 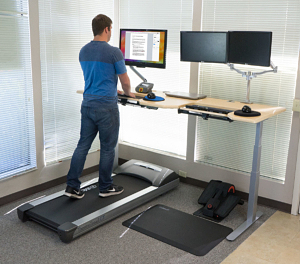 Our very first claim to fame at WorkWhileWalking was configuring the industry’s first sit-stand-walk workstations, offering the ability to work in three different modalities at the same desk without having to move your computer. 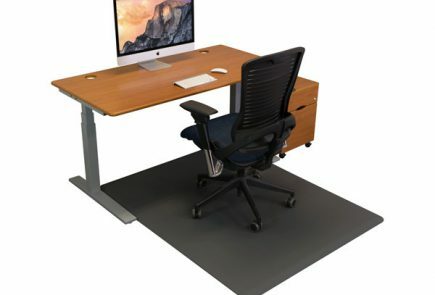 This entailed having a wide enough, stable enough desk, with the height range to also accommodate a treadmill, and a spacing between the desk legs sufficient to also harbor a full-sized office chair. 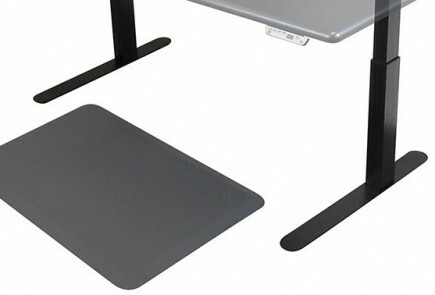 Since then, there have been a few really cool innovations for the treadmill desk enthusiast, like the SteadyType keyboard tray, EcoLast TreadTop Anti-Fatigue Mat, and the Tempo TreadTop seating line—all from iMovR. 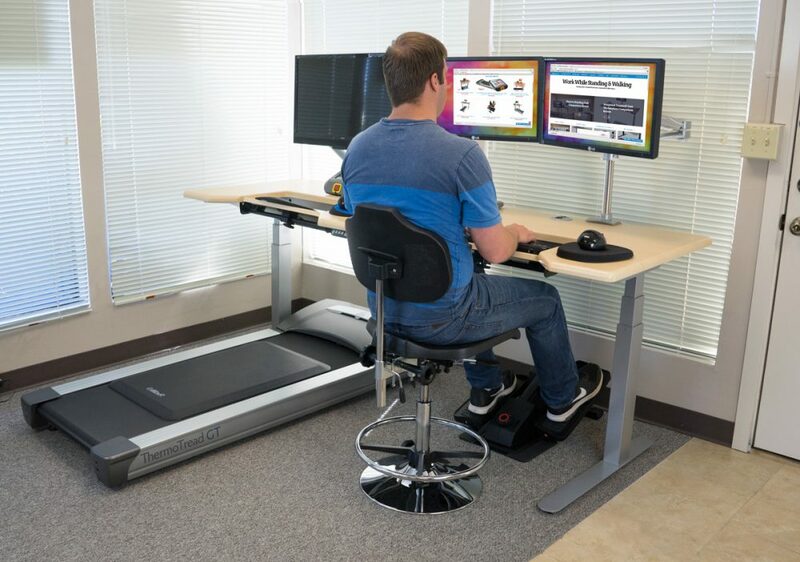 We decided to put together an office fitness enthusiast’s “DreamStation” using the most advanced sit-stand-walk workstation on the market—the iMovR Everest Dual-Tray 83″-wide desk with an iMovR ThermoTread GT office treadmill, the Tempo TreadTop Office Chair, and a few other accessories—and added a Cubii to make the world’s first quad-modal workstation, as pictured above. The first thing we realized was that there was finally something to program that fourth preset height memory for, as the Cubii’s ideal chair height is slightly different than what we would use for sitting. So the first memory position could be used to either walk or stand (with the aid of an EcoLast TreadTop mat, naturally) on top of the ThermoTread. The second position for standing is to the right of the treadmill (with same EcoLast mat being moved to the floor). The third position for is sitting, which can be on either the right or left side of the desk, since the Tempo Office Chair is designed for use either on the floor like a regular chair, or on top of the treadmill. We found that with the built-in SteadyType keyboard tray, the “sweet spot” for the Cubii was a little different than when sitting in a regular chair, and combined with the Tempo’s seat pan angle adjustment, we were able to alleviate pressure on the lower spine that cycling in a seated position can induce. This sit-stand-walk-pedal workstation, as pictured here, would price out at about five thousand dollars, but its lucky owner would have four positional modalities to choose from, without ever having to move their computer, for the ultimate in office productivity and health. And it’s not as exotic as you might think; everything pictured can be customized to your decor colors and manufactured and delivered to your door in two weeks. That’s awesome…as it should be for $5,000.